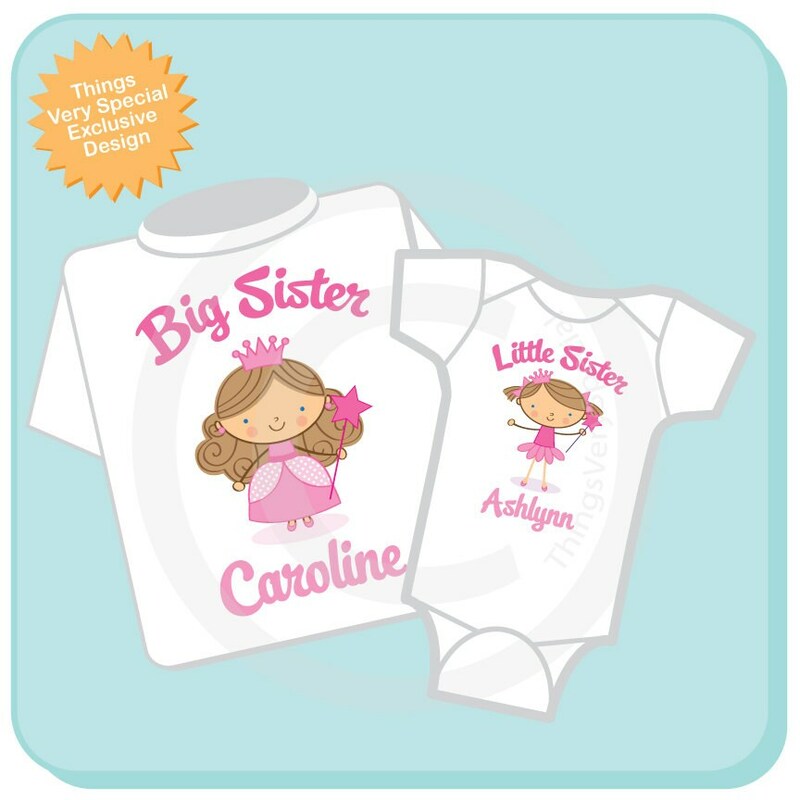 Super cute set of two shirts are Personalized Big Sister Tee Shirt and Little Sister Tee Shirt or Onesie with cute little Brown Hair Princesses with blue eyes. Haircolor if you want something other than brown. The shirts are beautiful!! Quick transit and great communication. Love it! Thank you again.